Unlimited live video calls for residents to see their visitors using their own phone before allowing access. Complete hardware starts at under $200 per gate or door. 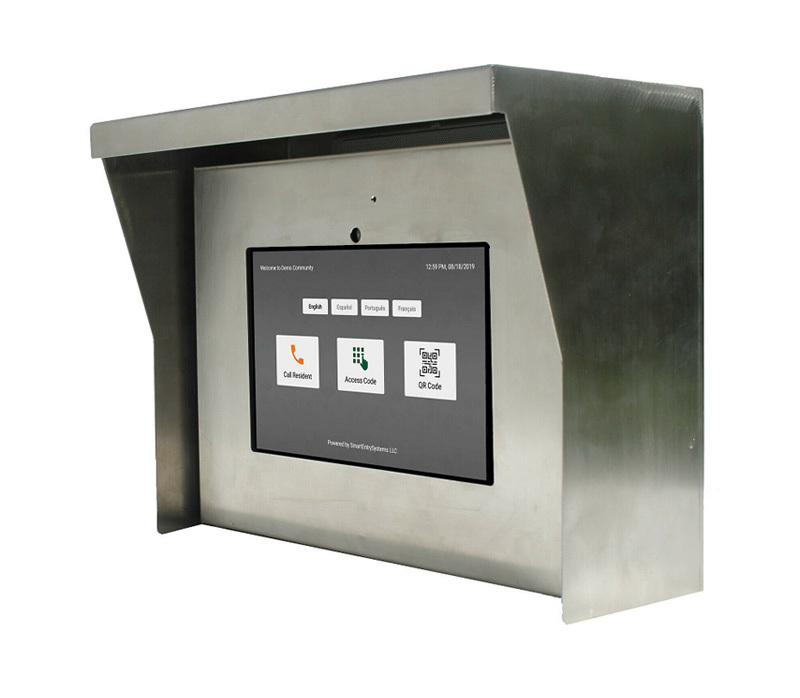 Full solution, supports both visitor entry management and access control to resident only areas. Monthly fee of only $2* per home or office with no timed contract. 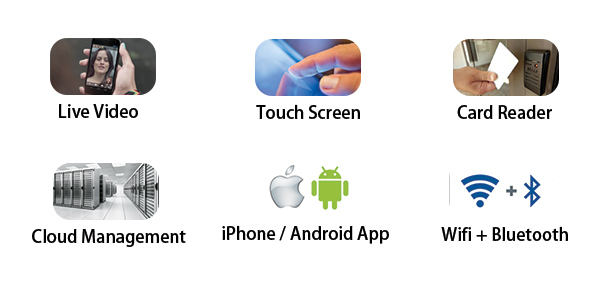 Communicates wirelessly via WiFi Internet without the need to pay for phone lines, VOIP nor LTE fees. No additional hardware needed in each home or office. Wireless system allows quick, easy, and therefore, inexpensive installations. Access anywhere cloud based community management portal. Unlimited number of doors, gates, residents and unique access code assigned per person. Logged per person access history stored in the cloud. (Optional) Take and store a picture for each successful entry access. (Optional) Send unlimited electronic notices to resident's phones, eliminating paper mails. (Optional) Guard tour duty tracking report. (Optional) Vending machine access management, track resident's usage of washers, dryers, etc. with running account balance. * $50 per month for communities with 25 homes or less. * Tablet app requires Android version 5.0 Lollipop or higher.